How Did You Learn to Cook? Answer and Win! I love cooking. It is my centering activity, my connecting tool, my most rewarding expressive arena, my daily sensual exploration, my easiest way to contribute to my family, loved ones, and community. Cooking keeps me out of a lot of trouble. 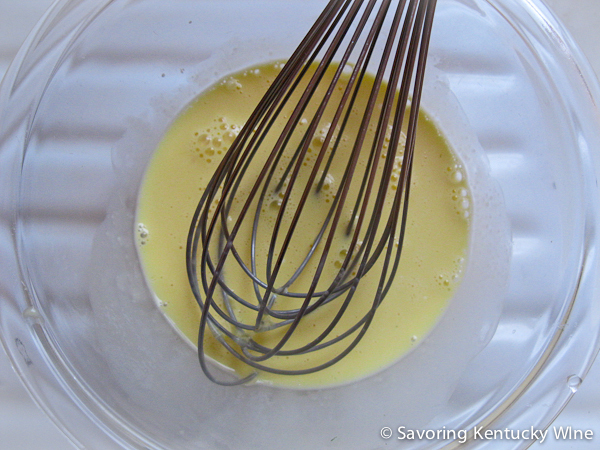 Savoring Kentucky champions cooking, and teaching others to cook. Manuel Villacorta of Eating Free inspired me this week with a post about the virtues of cooking for promoting health. One point that may thrill you, as it did me: smelling what's cooking contributes to our feeling satisfied, so home cooked meals may help eaters feel full after fewer bites than is the case with meals away from home. This week we launch our first ever guest blog writing contest, with prizes! In 700 words or less, answer this question, "How did you learn to cook?" Savoring Kentucky will publish the winning post on Tuesday, May 1. The winner will receive $50 and an autographed copy of my new book, Sweet, Sweet, Sorghum: Kentucky's Golden Wonder. The deadline for submissions is 5:00 PM EDT, Friday, April 20, 2012. The contest is open to Savoring Kentucky subscribers.If you are not a subscriber, subscribe here or on any page of this site, in the left column. Subscribing is a two-step process that requires responding to a confirmation email. Learn more about Our Absolute 110 Percent Guarantee: no spam, and no selling or sharing your subscriber information with anyone, ever. Savoring Kentucky judges will reward the writer who best answers the question, "How did you learn to cook?" in vivid, expressive, grammatically correct language, in no more than 700 words. Although photos are not required, we welcome web-friendly photos (up to 600 px wide) that illustrate the writing or help us understand more about the author. Excellent photos may be published with the winning piece. The Savoring Kentucky judges' decision is final. Cooks: start your writing engines. The countdown to April 20 begins now. UPDATE: Margaret Lane won this contest. Here's her winning essay, published on May 1, 2012.